Menopause The Journal of The North American Menopause Society VOLUME 19, ISSUE 7, 2012 Supplemental Digital Content is available in the text. 2011 NAMS/Pfizer V Wulf H. Utian Endowed Lecture 724 History and experience: the direction of Alzheimer’s disease William E. Reichman, MD and Nathan S. Rose, PhD This article covers the major discoveries on the pathogenesis of Alzheimer disease, the (limited) effectiveness of current pharmacological interventions, and the prevention of Alzheimer disease. (continued) Menopause: The Journal of The North American Menopause Society (ISSN 1072-3714) is published monthly for The North American Menopause Society by Lippincott Williams & Wilkins, 16522 Hunters Green Parkway, Hagerstown, MD 21740-2116. Business and production offices are located at Two Commerce Square, 2001 Market St., Philadelphia, PA 19103. All rights reserved. Printed on acid-free paper. Periodical postage paid at Hagerstown, Maryland, and at additional mailing offices. Copyright * 2012 by The North American Menopause Society. POSTMASTER: Send address changes to Menopause: The Journal of The North American Menopause Society, P.O. Box 1550, Hagerstown, MD 21740. Original Articles 735 Reconciling subjective memory complaints with objective memory performance in the menopausal transition Miriam T. Weber, PhD, Mark Mapstone, PhD, Jennifer Staskiewicz, MA, and Pauline M. Maki, PhD Subjective memory complaints are not associated with objective measures of verbal learning and verbal memory but are associated with decreased attention and working memory performance. Subjective memory complaints are also associated with increased symptoms of depression and anxiety, somatic complaints, and sleep disturbance. 742 Are vasomotor symptoms associated with sleep characteristics among symptomatic midlife women? Comparisons of self-report and objective measures Rebecca C. Thurston, PhD, Nanette Santoro, MD, and Karen A. Matthews, PhD More vasomotor symptoms (VMS) recalled upon waking were associated with significantly lower actigraphic sleep efficiency, higher wakefulness after sleep onset, and somewhat longer sleep latency. Conversely, physiologically measured VMS and VMS reported during the night were largely unrelated to sleep characteristics. 749 Effectiveness of group and self-help cognitive behavior therapy in reducing problematic menopausal hot flushes and night sweats (MENOS 2): a randomized controlled trial Beverley Ayers, DHealthPsych, Melanie Smith, DClinPsych, Jennifer Hellier, MSc, Eleanor Mann, DPhil, and Myra S. Hunter, PhD In this study, both group and self-help cognitive behavioral therapy significantly reduced hot flush/night sweat problem rating and night sweat frequency. There were some improvements in mood and quality of life. 760 The effect of the menopausal transition on body composition and cardiometabolic risk factors: a Montreal-Ottawa New Emerging Team group study Joseph Abdulnour, MSc, E´ric Doucet, PhD, Martin Brochu, PhD, Jean-Marc Lavoie, PhD, Irene Strychar, EdD, RD, Re´mi Rabasa-Lhoret, MD, PhD, and Denis Prud’homme, MD, MSc This 5-year observational study showed that changes in body composition and fat distribution can occur in nonobese premenopausal women. However, these changes were not associated with cardiometabolic deteriorations. 768 Effect of hormone therapy on postural balance in postmenopausal women Ana Beatriz Cesar Rodrigues Barral, MSc, Eliana Aguiar Petri Nahas, MD, PhD, Jorge Nahas-Neto, MD, PhD, Luciana Mendes Cangussu, MSc, and Davi de Araujo Buttros, MD In this cross-sectional study, postmenopausal women using hormone therapy showed lower frequency of falls and a better performance in stabilometric parameters than nonusers did. 776 Extracted or synthesized soybean isoflavones reduce menopausal hot flash frequency and severity: systematic review and meta-analysis of randomized controlled trials Kyoko Taku, PhD, MD, Melissa K. Melby, PhD, Fredi Kronenberg, PhD, Mindy S. Kurzer, PhD, and Mark Messina, PhD The results of this systematic review and meta-analysis show that isoflavone supplements consistently alleviate hot flash frequency and severity in postmenopausal women. Additional research is needed to identify factors that may impact efficacy. 791 Soy germ isoflavones improve menopausal symptoms but have no effect on blood lipids in early postmenopausal Chinese women: a randomized placebo-controlled trial Yan-bin Ye, MD, Zi-lian Wang, MD, Shu-yu Zhuo, MD, Wei Lu, MPH, Hui-fang Liao, MPH, Marian A. Verbruggen, PhD, Shi Fang, MD, Hai-yan Mai, MD, Yu-ming Chen, PhD, and Yi-xiang Su, MD This 6-month randomized, placebo-controlled trial showed that a daily supplementation of 84 and 126 mg of soy germ isoflavone extracts improved menopausal symptoms but not serum lipids in postmenopausal Chinese women. 799 An empirically validated responder definition for the reduction of moderate to severe hot flushes in postmenopausal women Christoph Gerlinger, PhD, Kerstin Gude, MD, PhD, Florian Hiemeyer, MSc, Thomas Schmelter, PhD, and Matthias Scha¨fers, MD, PhD Changes in the weekly number of moderate to severe hot flushes were compared with participants’ self-assessments of treatment satisfaction. A responder was defined as having at least an improvement of 19.1 hot flushes per week at week 4 and an improvement of 40.3 hot flushes per week at week 12. 804 Effects of long-term treatment with estrogen and medroxyprogesterone acetate on synapse number in the medial prefrontal cortex of aged female rats Nioka C. Chisholm, MA and Janice M. Juraska, PhD Middle-aged female rats received long-term treatment with several types of hormone therapy. The group that received estrogen with medroxyprogesterone had a greater number of synapses in the medial prefrontal cortex than did the group receiving no treatment. 812 Effects of rosiglitazone on the cardiovascular profile in postmenopausal women without diabetes mellitus: interplay of thiazolidinediones and hormone therapy I-Chih Chen, MD, Wen-Huang Lee, MD, Ting-Hsing Chao, MD, Yi-Heng Li, MD, PhD, Wei-Chuan Tsai, MD, Hsien-An Pan, MD, PhD, Shih-Ya Tseng, MS, and Ju-Yi Chen, MD Rosiglitazone treatment provided both protective and harmful cardiovascular effects in this clinical setting. Concurrent hormone therapy resulted in the maintenance of major beneficial effects while neutralizing the unfavorable effects of rosiglitazone. 820 Age at menopause and menopause-related symptoms in human immunodeficiency virusYinfected Thai women Pongrak Boonyanurak, MD, Torsak Bunupuradah, MD, Kittisak Wilawan, MD, Aksorn Lueanyod, BSc, Parawee Thongpaeng, MEd, Duangjai Chatvong, BBA, Jiratchaya Sophonphan, MS, Siriporn Saeloo, BNS, Jintanat Ananworanich, MD, PhD, and Surasith Chaithongwongwatthana, MD In this study, age at menopause in HIV-infected Thai women was 47.3 years, which is significantly earlier than previously reported in Thai women without HIV. Postmenopausal HIV-infected women also had more vasomotor and sexual symptoms. 825 The pollen extract FemalVa nonestrogenic alternative to hormone therapy in women with menopausal symptoms Ann-Cathrin Hellstro¨m, MD, PhD and Jonas Muntzing, PhD The pollen extract Femal, effective in the treatment of menopausal symptoms, contains only traces of common phytoestrogens and has no uterotropic effect in immature rats. The possibility of a serotonergic mode of action of Femal is discussed. Review Article 830 Estrogens plus raloxifene on endometrial safety and menopausal symptomsVsemisystematic review Andrea Lucia Bastos Carneiro, MD, PhD, Rita de Cassia de Maio Dardes, MD, PhD, and Mauro Abi Haidar, MD, PhD This semisystematic review article summarizes the available clinical trials on women on raloxifene plus estrogen. Lippincott Williams & Wilkins and The North American Menopause Society cannot be held responsible for errors or for any consequences arising from the use of the information contained in this journal. All advertising material published in this journal is expected to conform to regulatory and medical standards. The appearance of advertising in this publication does not constitute a guarantee or endorsement by The North American Menopause Society or Lippincott Williams & Wilkins of the quality or value of such a product or service or any claims made by its marketer. PERMISSION TO PHOTOCOPY ARTICLES: This publication is protected by copyright. 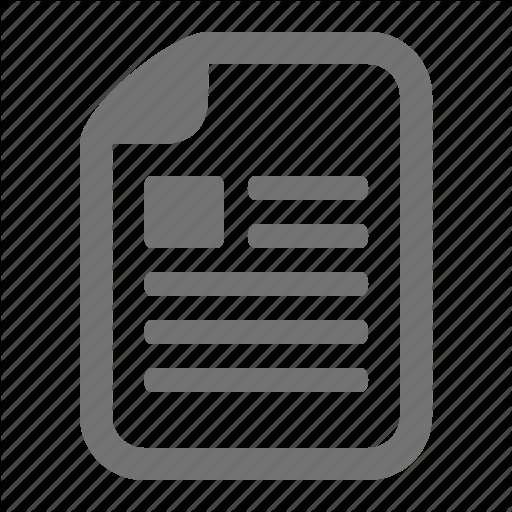 Permission to reproduce copies of articles for noncommercial use may be obtained from the Copyright Clearance Center, 222 Rosewood Drive, Danvers, MA 01923, Tel: (978) 750-8400, FAX: (978) 750-4470, URL: http://www.copyright.com. For permissions to reuse the material for other purposes: Please go to the Journal website and click the ‘‘Permissions’’ link above the title of the paper in the abstract or html window for the relevant article. Alternatively, send an email to [email protected] Translation Rights & Licensing queries: Please contact, Silvia Serra, Translations Rights, Licensing & Permissions Manager, Wolters Kluwer Health (Medical Research) Ltd, 250 Waterloo Road, London SE1 8RD, UK. Phone +44 (0)207 981 0600; [email protected] Menopause: The Journal of The North American Menopause Society is a registered trademark of The North American Menopause Society. Menopause: The Journal of The North American Menopause Society (ISSN 1072-3714) is published monthly by Lippincott Williams & Wilkins, 16522 Hunters Green Parkway, Hagerstown, MD 21740-2116. Business offices are located at Two Commerce Square, 2001 Market St., Philadelphia, PA 19103. Periodical postage paid at Hagerstown, MD, and at additional mailing offices. Annual subscription rates: United StatesV$395 Individual, $799 Institution. Rest of WorldV$440 Individual, $866 Institution. All prices include a handling charge. Subscription orders outside the United States must be prepaid. Subscription orders outside North America must add $13.00 for airfreight delivery. United States residents of AL, CO, DC, FL, GA, HI, IA, ID, IN, KS, KY, LA, MD, MO, ND, NM, NV, PR, RI, SC, SD, UT, VT, WA, WV add state sales tax. The GST tax of 7% must be added to all orders shipped to Canada (Lippincott Williams & Wilkins’ GST Identification #895524239, Publications Mail Agreement #1119672). Subscription prices outside the United States must be prepaid. Prices subject to change without notice. Visit us online at www.lww.com. Individual subscription rates include print and access to the online version. Institutional rates are for print only; online subscriptions are available via Ovid. Institutions can choose to purchase a print and online subscription together for a discounted rate. Institutions that wish to purchase a print subscription, please contact Lippincott Williams & Wilkins, 16522 Hunters Green Parkway, Hagerstown, MD 21740-2116; phone 800-638-3030 (outside the United States 301-223-2300); fax 301-223-2400. Institutions that wish to purchase an online subscription or online with print, please contact the Ovid Regional Sales Office near you or visit www.ovid.com/site/ index.jsp and select Contact and Locations. Address for subscription information, orders, or change of address: Lippincott Williams & Wilkins, P.O. Box 1580, Hagerstown, MD 21741-1580; phone 800-638-3030 (outside the United States 301-223-2300); fax 301-223-2400. In Japan, contact LWW IgakuShoin Ltd., 3-23-14 Hongo, Bunkyo-ku, Tokyo 113-0033; phone 81-3-5689-5400; fax 81-3-5689-5402. In Bangladesh, India, Nepal, Sri Lanka, and Pakistan, contact Globe Publications Pvt. B-13 3rd Floor, A Block, Shopping Complex, Naraina Vihar, Ring Road, New Delhi, 110028; phone 91-11-579-3211; fax 91-11-579-8876. Address advertising inquiries to Renee Artuso at Lippincott Williams & Wilkins, 530 Walnut Street, Philadelphia, PA 19106 USA Postmaster: Send address changes to Menopause: The Journal of The North American Menopause Society, P.O. Box 1550, Hagerstown, MD 21740. Copyright * 2012 by The North American Menopause Society. All rights reserved. Printed in the USA. Report "Menopause The Journal of The North American Menopause Society"